The Amalfi Coast is one of the most famous coastlines, not just in the Mediterranean but worldwide; listed as UNESCO heritage site in 1997 it's not hard to see why it's so widely recognised. Enjoy a touch of Italian glamour alongside a feast of Italian food and wine. 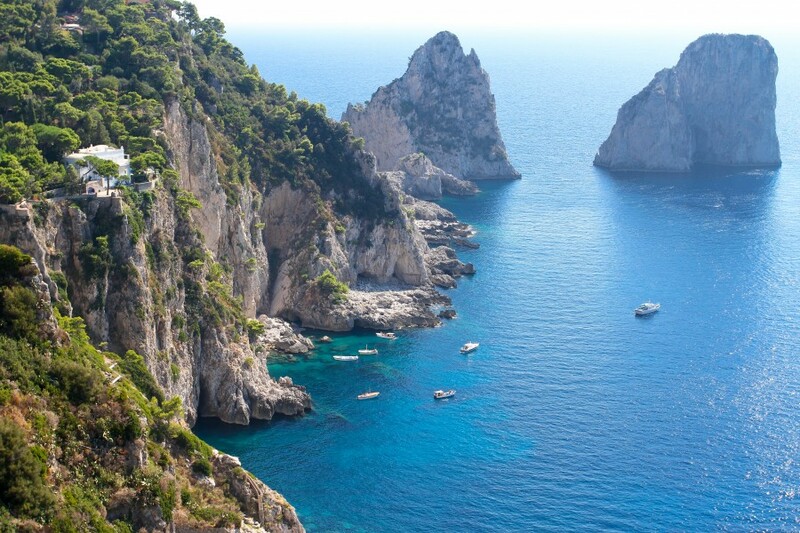 Sail to Sorrento and and the nearby Islands of Capri, Ishcia and Procida. 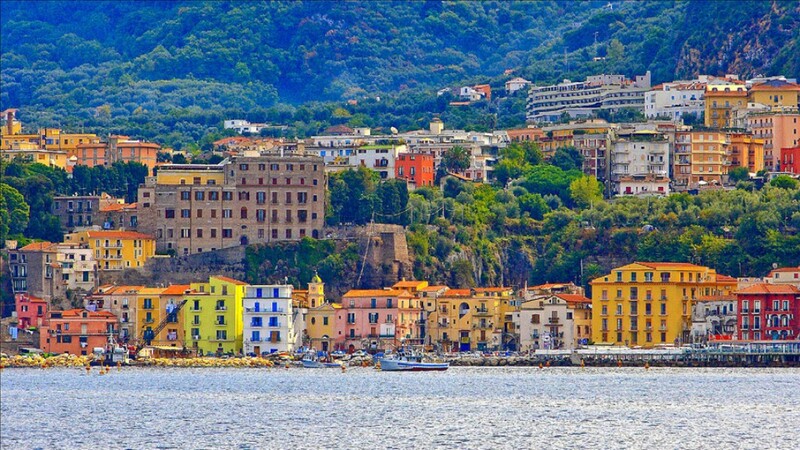 Sail from either Salerno or the island of Procida. This sailing ground is renowned as a destination for the rich and famous so be sure to check out who is moored on the superyacht next door! In the summer months the wind is generally from the South, swinging round to a South West or South Easterly with the strength picking up in the afternoon. In the mornings it's a wonderfully light force 2, picking up to a force 4 in the afternoon. As with most Mediterranean destinations the warmest time of year to visit is during July and August with temperatures at their highest, then in the shoulder months of May and October it hovers around the low 20's. The costs of mooring fees for a 39ft yacht range from €30 to upwards of €100 per night, with prices sometimes rising to double the cost when staying over a weekend. When sailing in Italy there are anchorages available, some of the better anchorages have mooring buoys which you do have to pay for, but are less expensive than a marina. When you arrive at the marina you will go to the charter company office and check-in. They'll then show you to your boat and give you a quick briefing so you know where everything is on board. After that it's over to you, might we suggest a quayside beer to help you relax into the holiday swing? 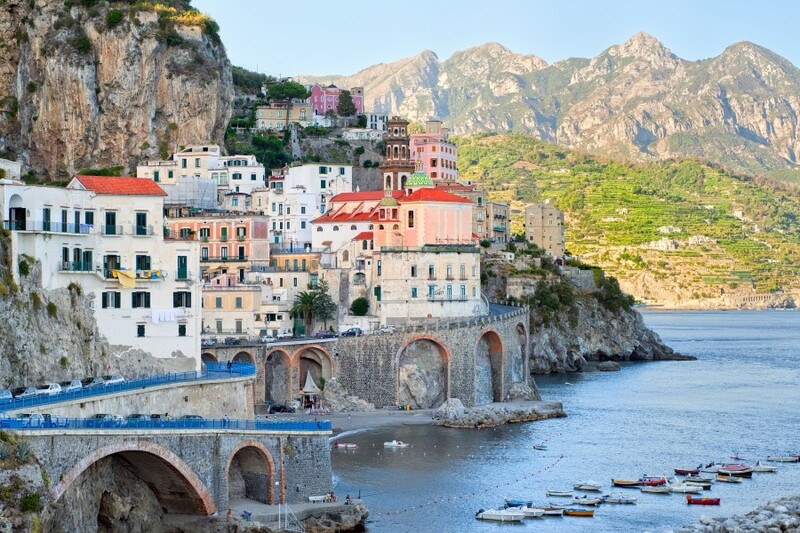 For your first day sailing why not head over to Amalfi. In the summer this sun drenched town is a bustling hive of activity. Take a stroll through the piazzas or unwind on the small but scenic beach. From Amalfi a nice sail is round the Sorrentine Peninsula to the town of Sorrento. Set high up in the cliffs the town is separate from the marina but make sure you pop up there because if you walk down the winding streets you'll find a maze of historic buildings. Once you've explored the dizzying heights of Sorrento with its picture perfect colourful town, pop across the Bay of Naples to Procida. 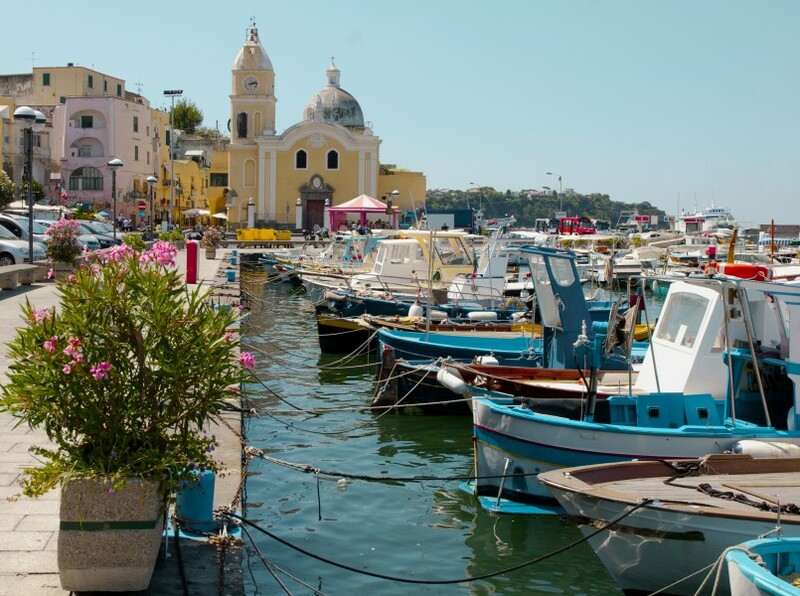 Procida has remained untouched compared to its neighbouring islands and is without a doubt one of the prettiest islands in the Mediterranean. From Procida why not pop over to Ischia? It's a short sail giving you plenty of time to explore when you get there. 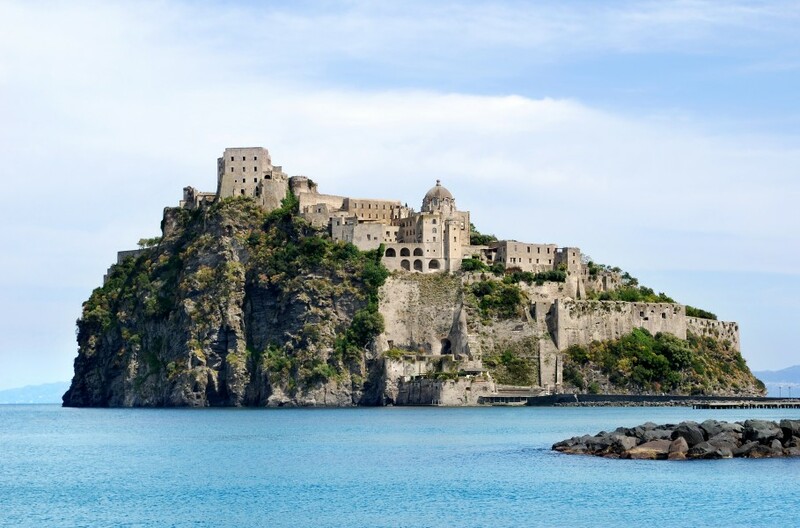 Ischia has a great mix of vineyards, beautiful forests and picture perfect towns. And in the evening once you've enjoyed some freshly caught fish why don't you head to one of the piano bars that line the seafront. If it's the celebrity lifestyle you like then Capri is the perfect last place to visit with it being undoubtely the most famous island on the Amalfi coastline. So many have walked these streets, from Roman emperors, Russian revolutionaries and showbiz stars, there's a certain glitz and glamour here that you won't find anywhere else. On your last day it's time to head back to base, from Capri to Salerno is around a 30 mile sail so make sure you give yourself time to get back to the base, the staff usually like people to be back between 4-6pm giving you time for one last Italian feast before you head back to reality.